Powering up Africa… One Village at a time! 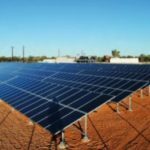 Remote Australian Solar-Diesel Hybrid Mini-Grid To Get 1.9MWh Battery Storage – A remote solar-diesel hybrid mini-grid that is being used to power a remote indigenous community in northern Australia will soon be fitted with battery storage, after German energy storage expert Qinous won the tender to supply and install a 1,987kWh lithium-ion system. 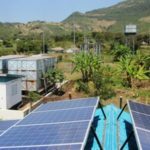 Microgrids Seen as Answer for 620 Million Africans Without Power – Power grids that work at a fraction of the scale of a traditional utility, called microgrids, have gained support from banks and developers as a way to bring power to the 620 million people across Africa that lack access to electricity. 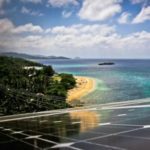 Romblon’s Cobrador Island Gets 24-Hour Power From New Hybrid Solar-Diesel System – An Asian Development Bank (ADB) supported solar-diesel hybrid power generation system today began providing round-the-clock electricity for the first time to all 244 households on the island of Cobrador in Romblon province in the central Philippines.